Last December, I got into an accident in Kabayan, Benguet. My left leg got severely fractured and I had to undergo surgery. 2 months after, we found out one of the screws got dislodged so I underwent 2nd operation. While I am very much careful, I cannot just be staying at home the whole period of recovery. The more difficult thing to deal with is neither the pain nor the inability to walk. It is the frustrations. So, I booked a ticket for my mom and me to Silay City, with San Carlos City as our final destination. I had to break away from what became a monotonous life and start living again. I also wanted to visit my Mom's hometown so my grandparents can see me to ease up their worries. My mom and I rarely traveled together so this was also a bonding experience for us. 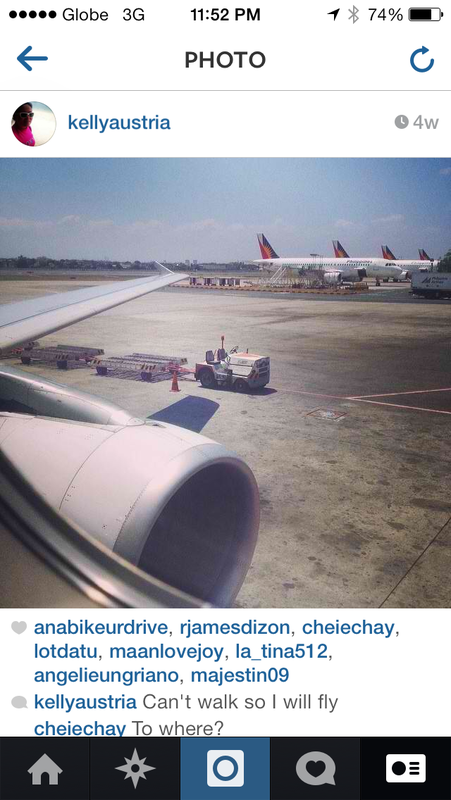 I chose Philippine Airlines because I thought we would get better chances of using a tube to the plane. I was still getting used to using crutches and still do not know if I could climb stairs. Days before our departure, I called the airline to make sure I can borrow a wheelchair. More than a minute walking in crutches hurt my arms and armpits, plus was too tiring for me. The day of our flight, we arrived early at the airport. As soon as airport security saw me walking using crutches, he immediately called for assistance. I didn't have to call the Philippine Airlines assistance desk or show any proof of prior arrangements. I was immediately assisted. Airport personnel assisted me and my mom, who is a senior citizen, from check-in up to boarding. They also allowed me to hand carry my crutches. PWDs, as you may know, are first to board and the last to leave an aircraft. So, after the last passenger left when we landed at Silay Airport, airport personnel brought in a wheelchair and to our delight, we were assisted even in claiming our baggage. It was a VIP treatment, something that I do not want to get used to because I do not intend to be disabled all my life. After our vacation, on our way back, it took a while but airport personnel were able to produce wheelchairs for me and my grandmother, who also took the Philippine Airlines flight back to Manila then onwards to Canada. While waiting, the security guard even gave me a monoblock chair to sit on. As mentioned, PWDs are prioritized so we didn't have to wait in line much during check-in. The airport in Silay is much smaller so they do not have a devoted counter for PWDs and Senior Citizens like in Manila. The airport personnel assisting us also helped us carry our baggage. As expected also, we were the first to board. I was lucky the passenger seated near the window, on my left, didn't have to use the CR and didn't rush out of the plane when we landed in Manila. We were the last to get off the plane. The only thing though was that stairs were attached to the plane and not a tube. I was already thinking of strategies like ask for a slide but it turned out I didn't have to worry. When all the passengers left, they brought in a small wheelchair. It was a special wheelchair. It was slimmer and has a seatbelt. An airplane wheelchair lift was then attached to the right door of the plane. That solved the stairs problem. Whew! The only thing then was the ramp. It looked so steep so I got worried that I might fall. The thing was, I had to relax and stay upright. When I tried pushing myself, the wheelchair tilted. Even the bus' ramp was steep. But, it was all good. The attendant was able to get me smoothly to the airport. Thank God he had the strength. 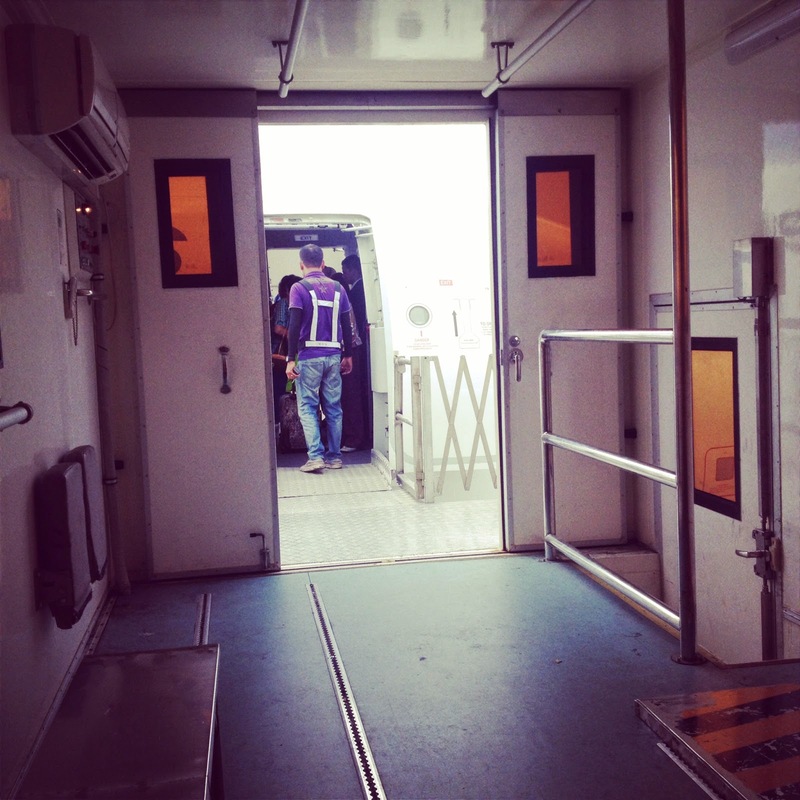 When we got into the airport, I was transferred to an ordinary wheelchair. 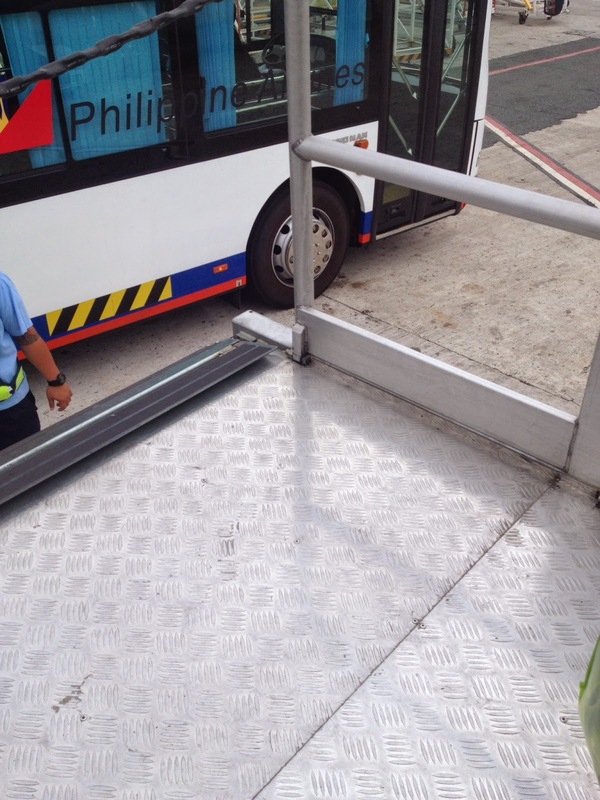 Overall, I had a pleasant travel experience thanks to the airport personnel and of course, Philippine Airlines. This June, I will be flying with Cebu Pacific Air and AirAsia and I didn't check anymore the option for assistance at the online booking site. Hoping will be able to walk this June. Of course, with God's grace I can. Amen!